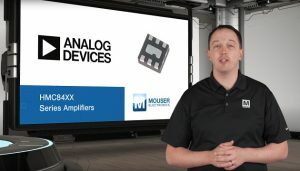 Mouser Electronics, Inc., is now stocking HMC8400 low noise amplifiers from Analog Devices. 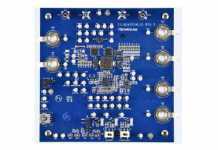 Members of Analog Devices’ extensive series of single-ended, fixed-gain radio frequency (RF) ICs, the HMC8400 devices are wideband distributed low noise amplifiers (LNAs) that operate between 2 GHz and 30 GHz. 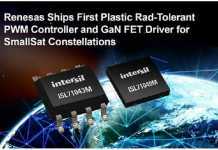 These gallium arsenide (GaAs) pHEMT MMIC devices deliver low power consumption, high linearity, low noise figures and various fixed-gain options for use in a variety of applications. Analog Devices HMC8400 low noise amplifiers, available from Mouser Electronics, provide 13.5 dB of gain, a 2 dB noise figure, a 26.5 dBm output third-order intercept (IP3), and 14.5 dBm of output power at the 1 dB compression point (P1db). 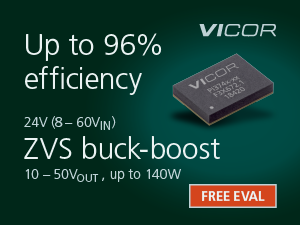 These self-biased, cascade-distributed amplifiers operate from a 5 V supply voltage, and require only a single positive supply to achieve a drain current of 67 mA. The amplifiers include a second gate bias voltage pad for gain control to allow designers to change the gate bias of the upper FETs within the range of -2 V through +2.6 V.
The HMC8400 amplifiers feature 50-Ohm internally matched and DC-blocked RF input and outputs to help facilitate integration into multichip modules. Both the inputs and outputs are AC-coupled, but have a large resistor to ground for electrostatic discharge (ESD) protection. 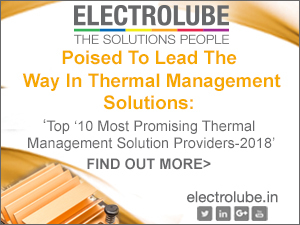 Designed for excellent linearity at high output power, the HMC8400 maintains good heat dissipation and high reliability at elevated temperatures. 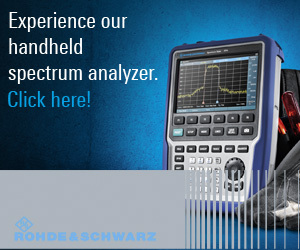 The devices offer industry-leading performance for use in a broad array of RF applications that include test instrumentation, microwave radios and very small aperture terminals (VSATs), military and space equipment, telecommunications and fiber optics.